Overcrowding in tourist destinations is a complex problem that varies from destination to destination and requires long-term planning with all stakeholders to solve, according to a new report. 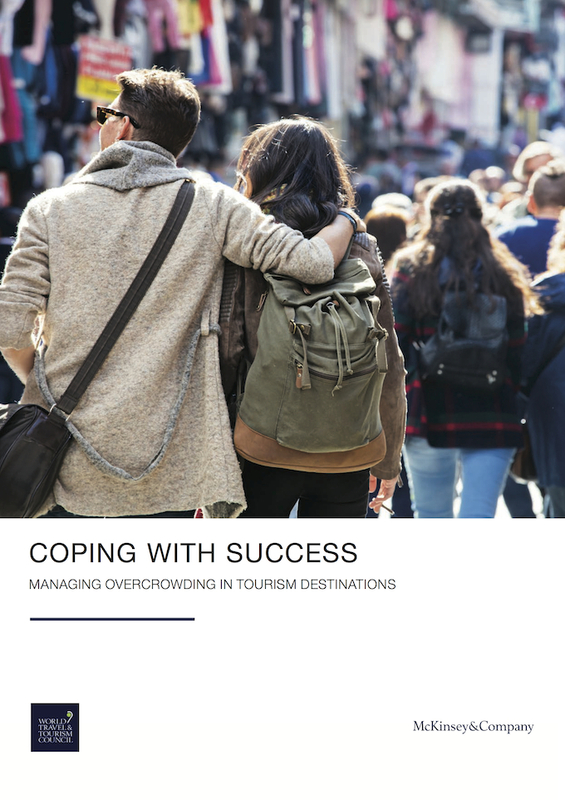 ‘Coping with success: Managing overcrowding in tourism destinations’, one of the first major analyses of the issue, also found that good management is crucial for all tourism destinations and can only be built on a comprehensive fact base. Popular tourism spots need to understand their situations and identify early warning signs. Produced by the World Travel & Tourism Council (WTTC) and McKinsey & Company, the report attempts to cut through media hype around the issue, to understand the nature of the problems at hand, and to identify specific solutions which can make a real difference on what is variously known as “overcrowding”, “overtourism” or “tourismphobia”. Concludes that local tourism managers must work with all public and private stakeholders to develop a coherent plan to create and manage tourism growth that puts people and communities at its heart, is long term and fact based in its approach, and that results not only in positive impacts for those who host tourists, but also life-enhancing experiences for millions of travellers each year. Gloria Guevara, the WTTC’s president and CEO, said: “Tourism is a force for good in the world. It creates jobs and economic growth. In 2017, Travel & Tourism will contribute nearly $7.9 trillion to the global economy. Guevara said the top 20 country destinations will add more arrivals by 2020 than the rest of the world combined, creating a variety of issues. “Where tourism growth is perceived negatively, each destination has a specific set of problems and challenges, but the common factor is that what is needed is long-term planning not short-term knee-jerk reactions,” she said. Alex Dichter, senior partner at McKinsey & Company, said: “Overcrowding is easier to prevent than to recover from and the real lesson from our work is that good management is vital for all tourism destinations. This includes building and updating regularly a comprehensive fact base, conducting rigorous long-term planning, involving all sections of society, and finding new sources of funding for investments in infrastructure and sustainability.